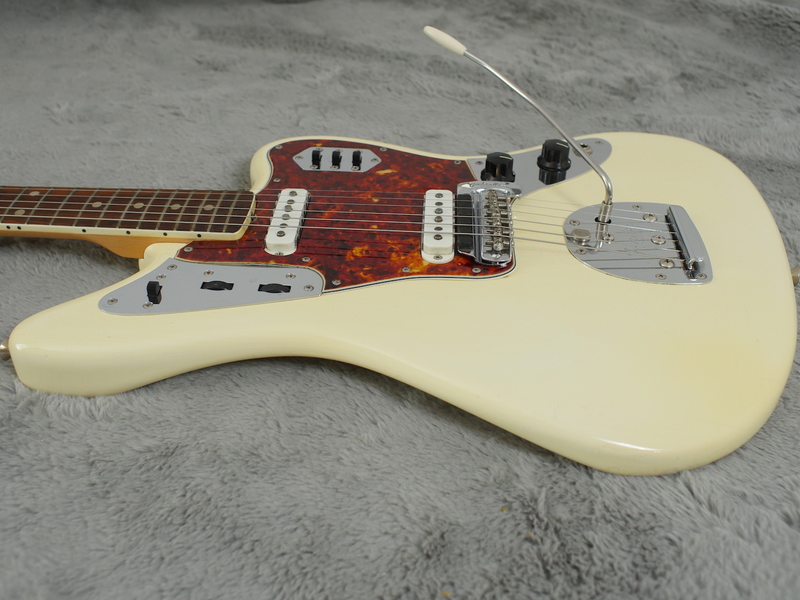 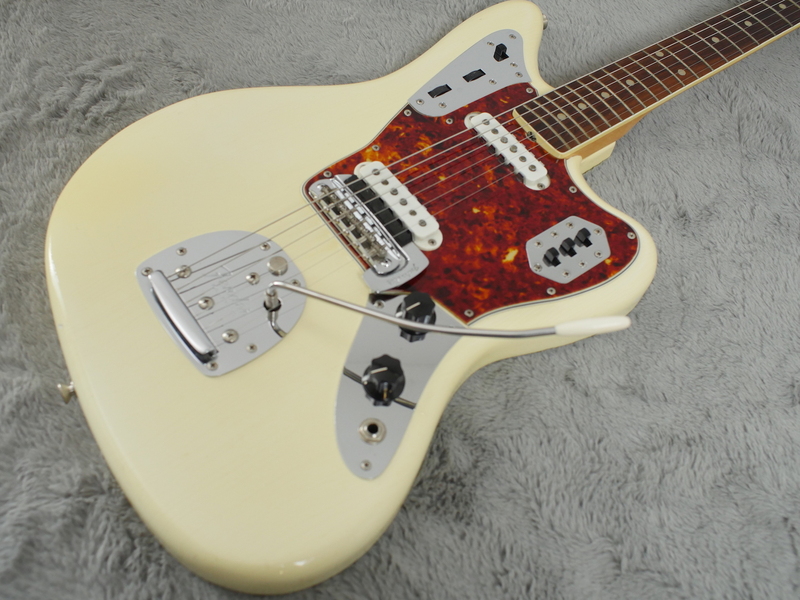 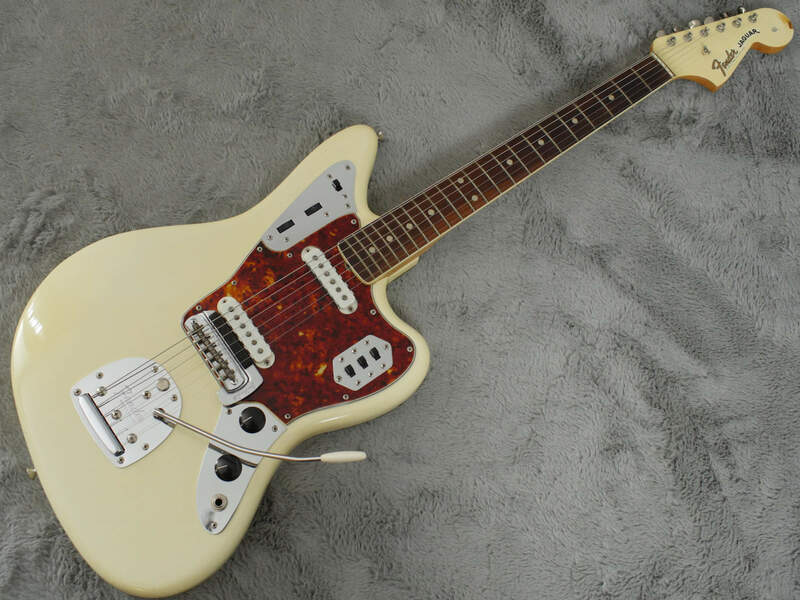 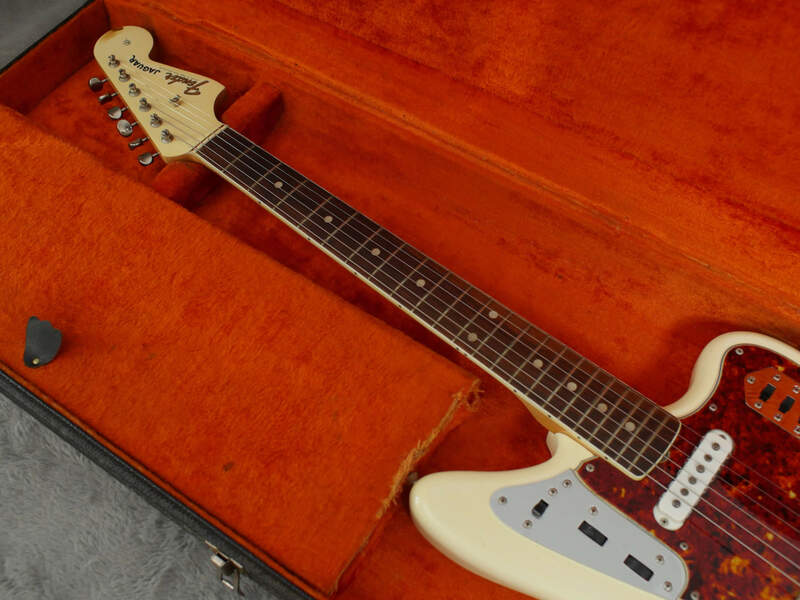 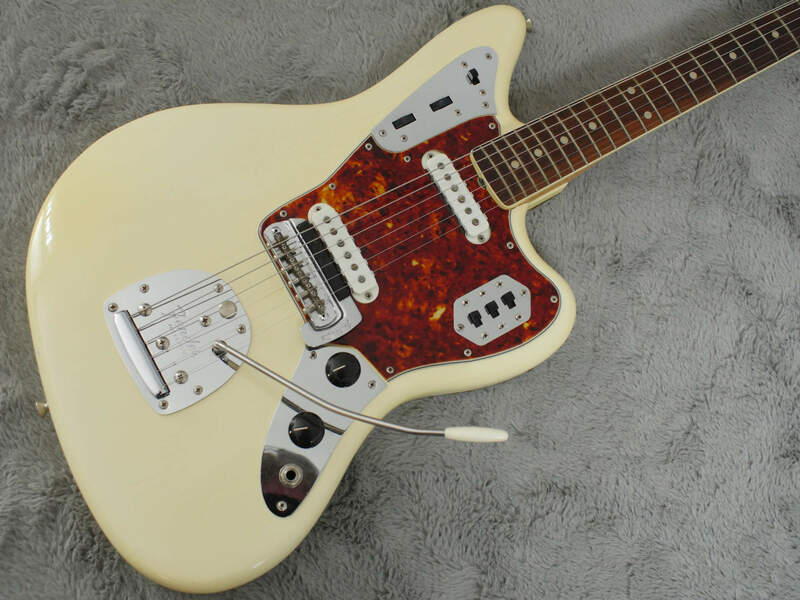 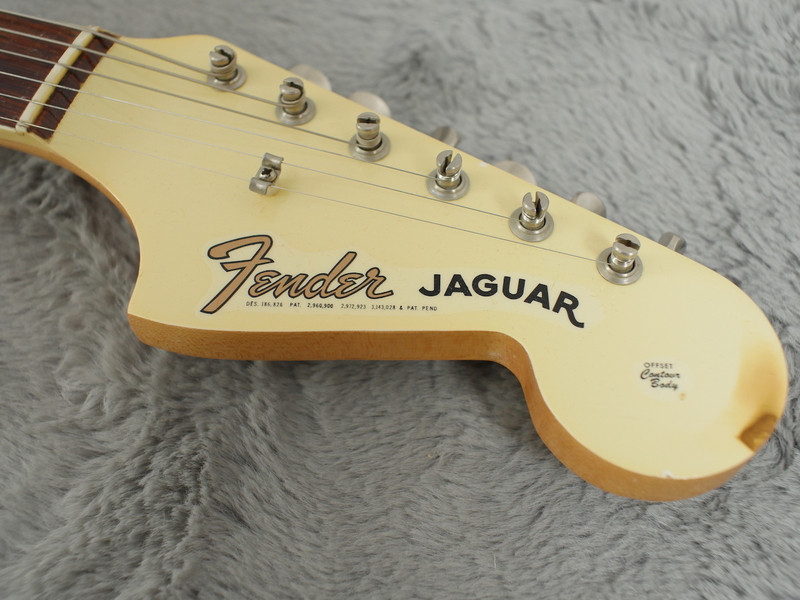 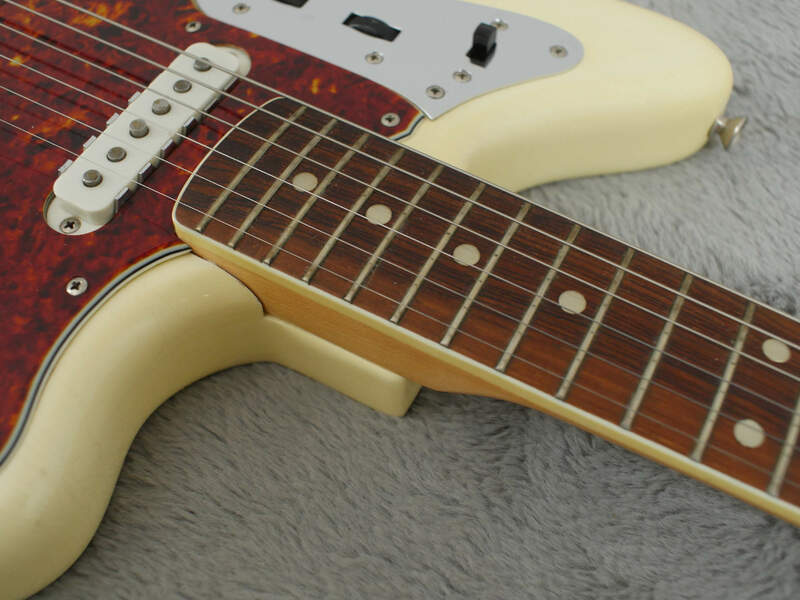 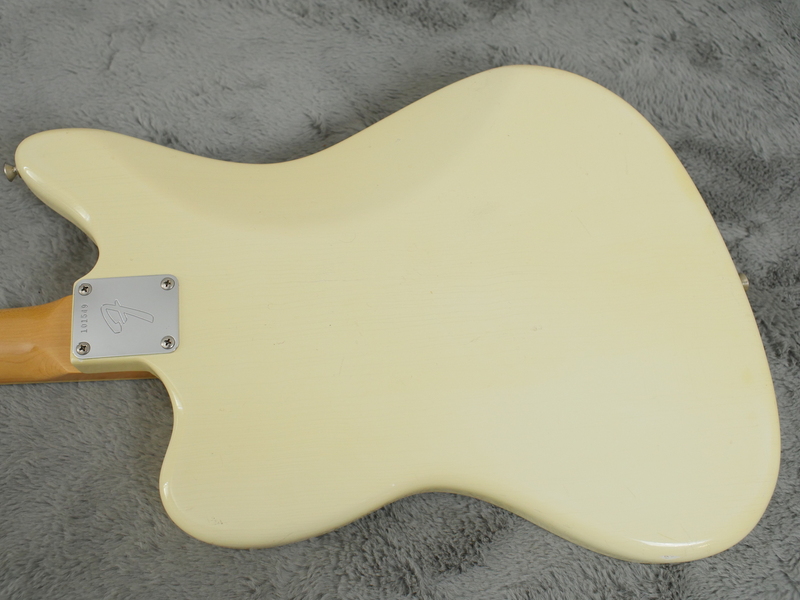 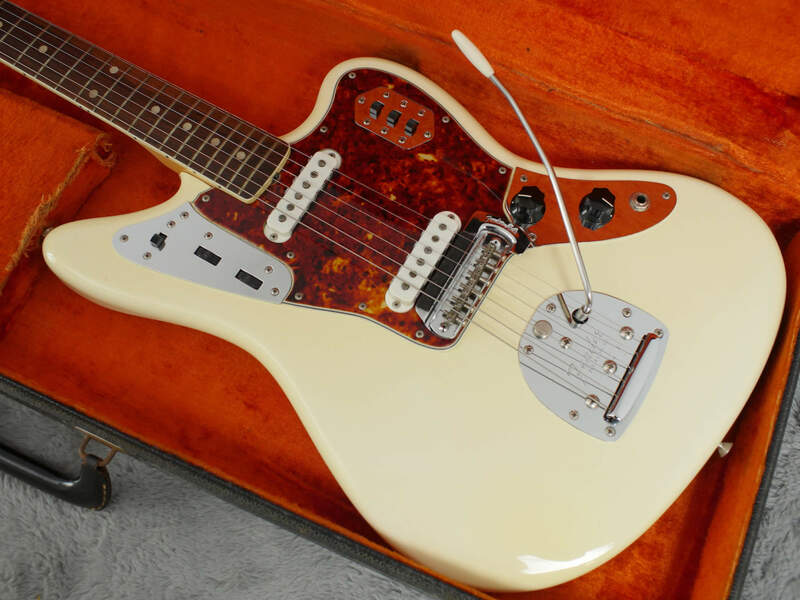 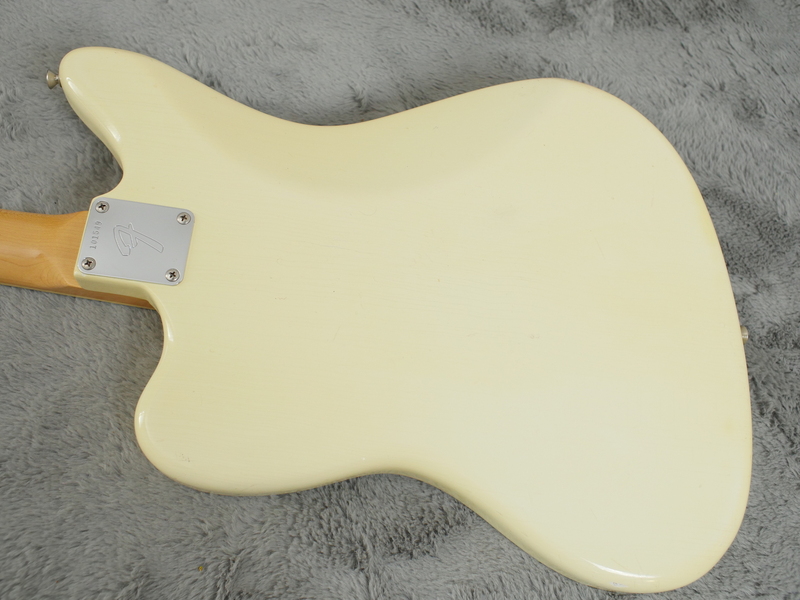 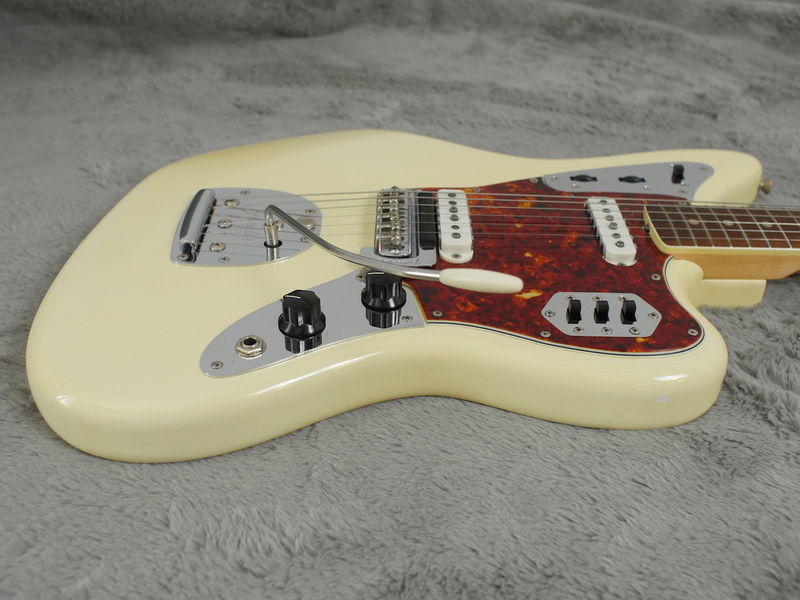 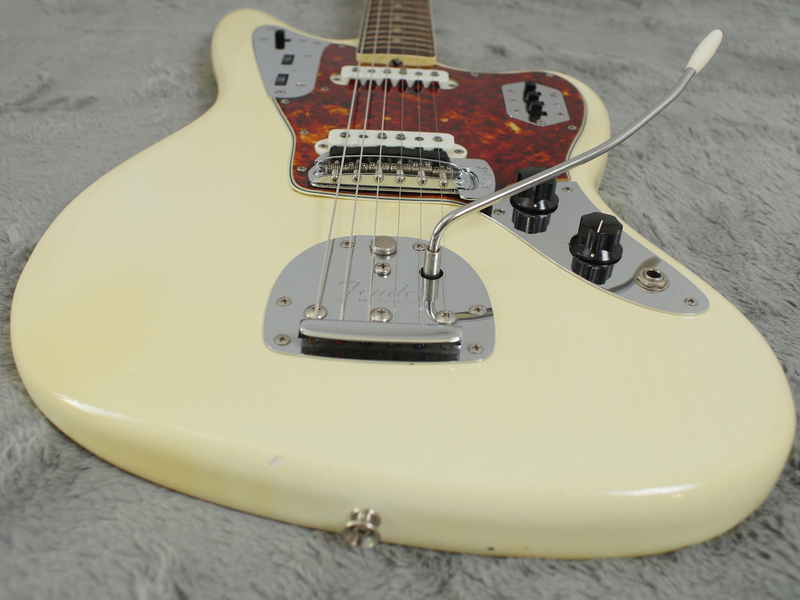 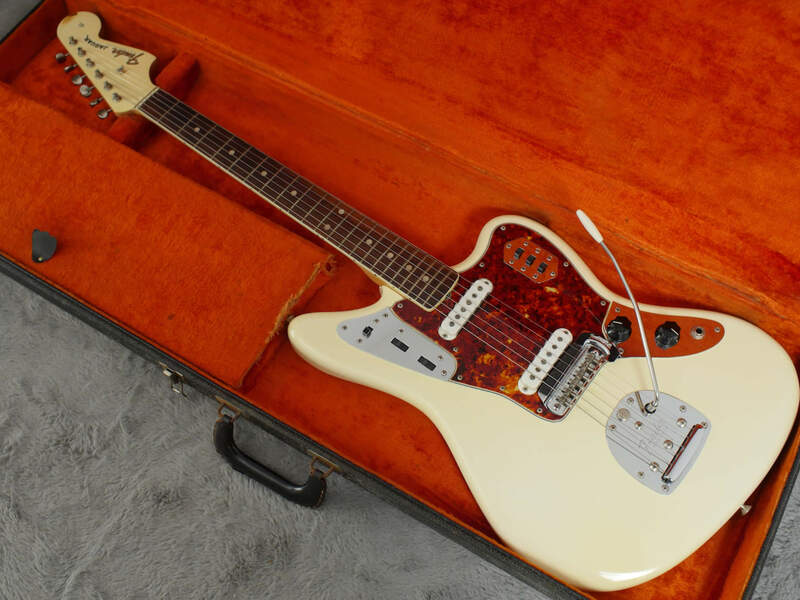 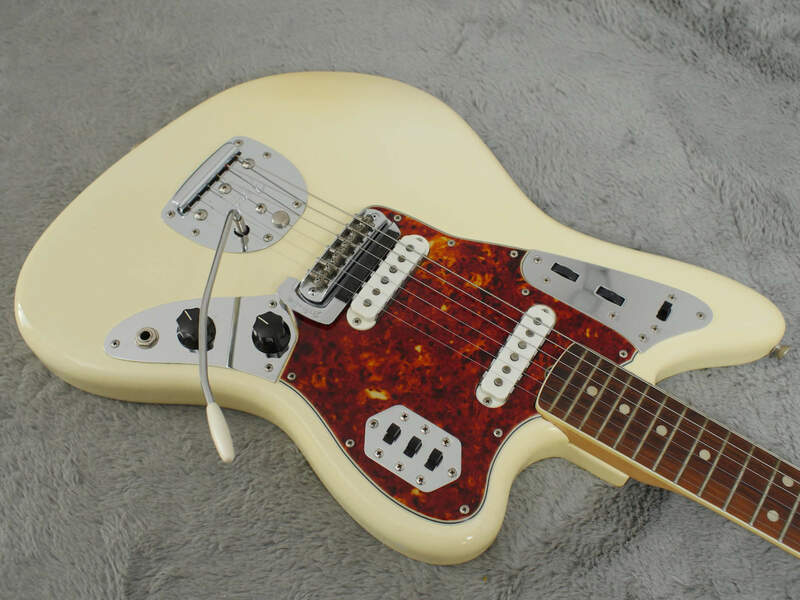 Nice clean, all correct 1965 Fender Jaguar in the popular Olympic White, original custom colour with a nice matching headstock and correct, no logo, 1965 case. 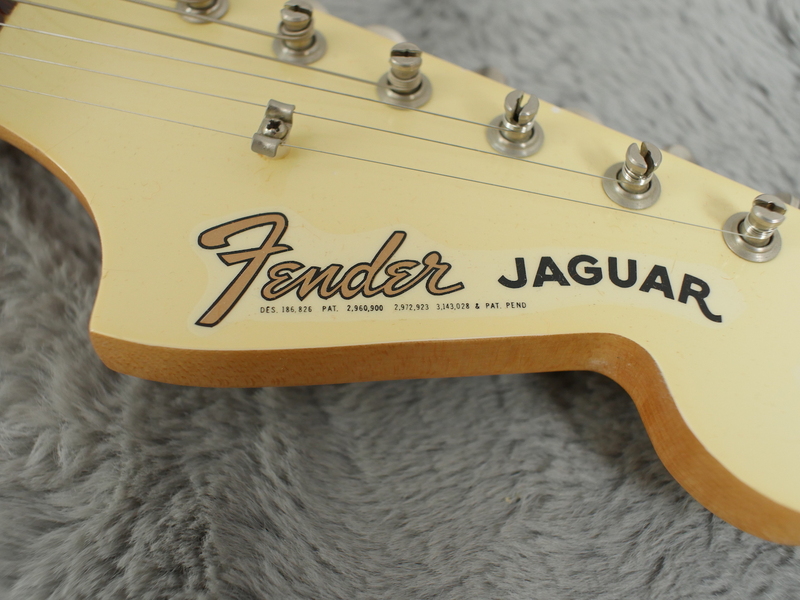 This guitar is very clean and near mint. 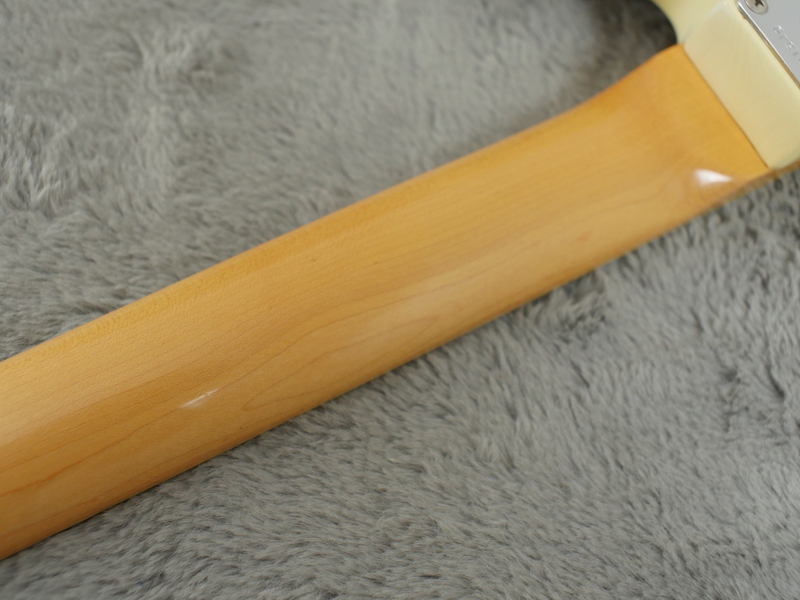 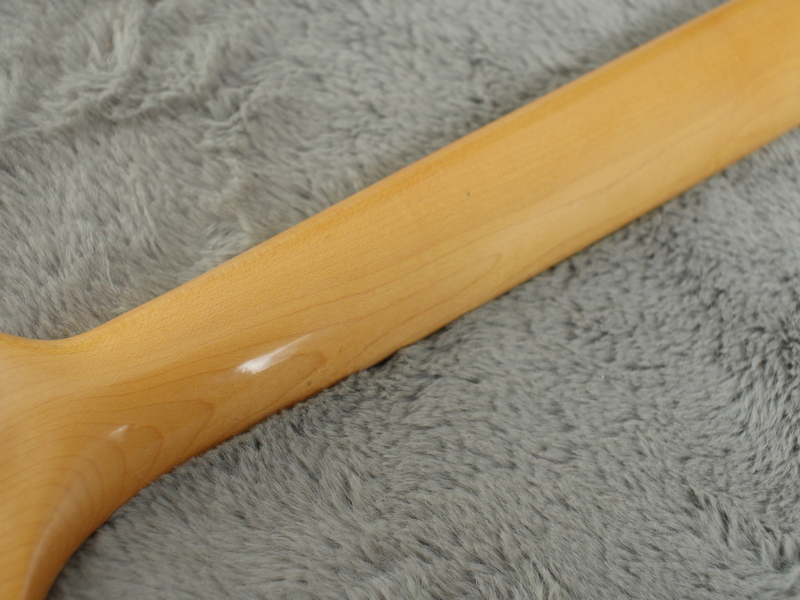 The only defects are what looks like some kind of small burn mark on the tip of the headstock (maybe a joss stick? 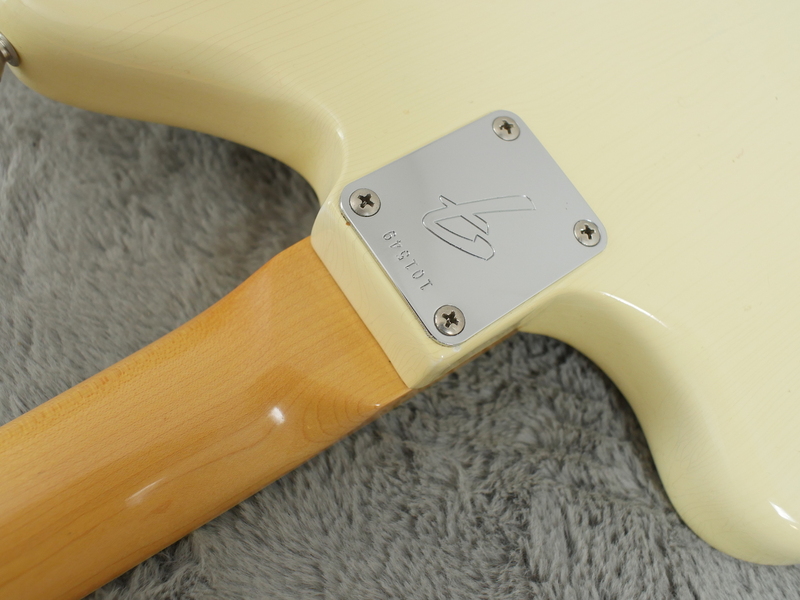 ), some light checking in places and a few very minor dings here and there. 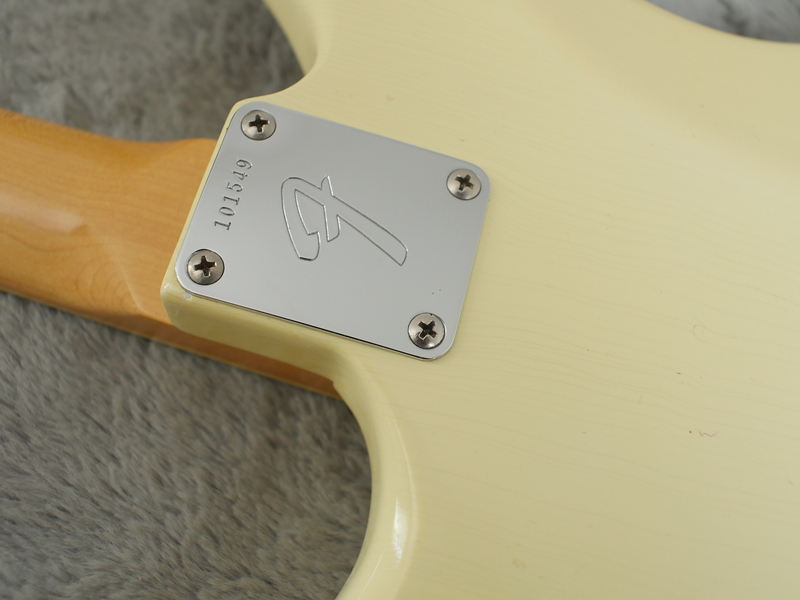 All hardware is gleaming and the all original Olympic White finish has hardly yellowed or faded at all, which is rare. 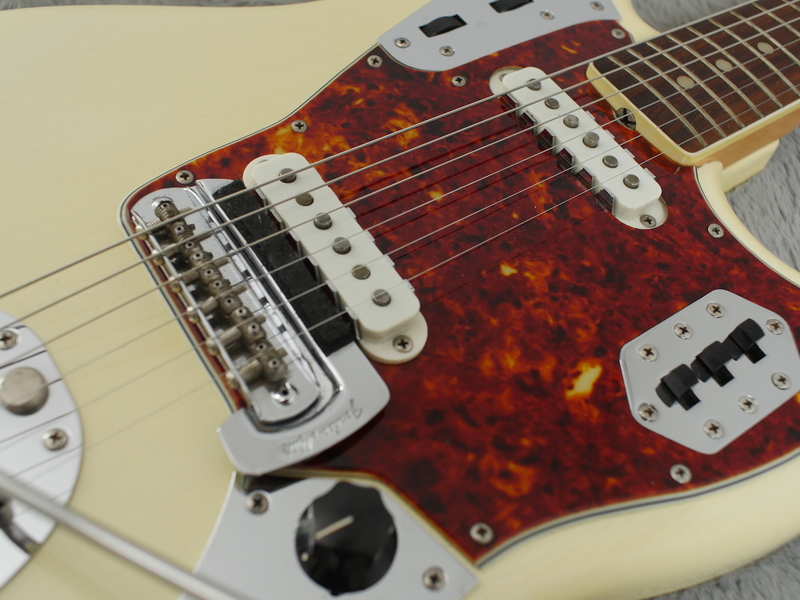 The correct tortoise shell pickguard is immaculate and not a single solder joint has been touched. 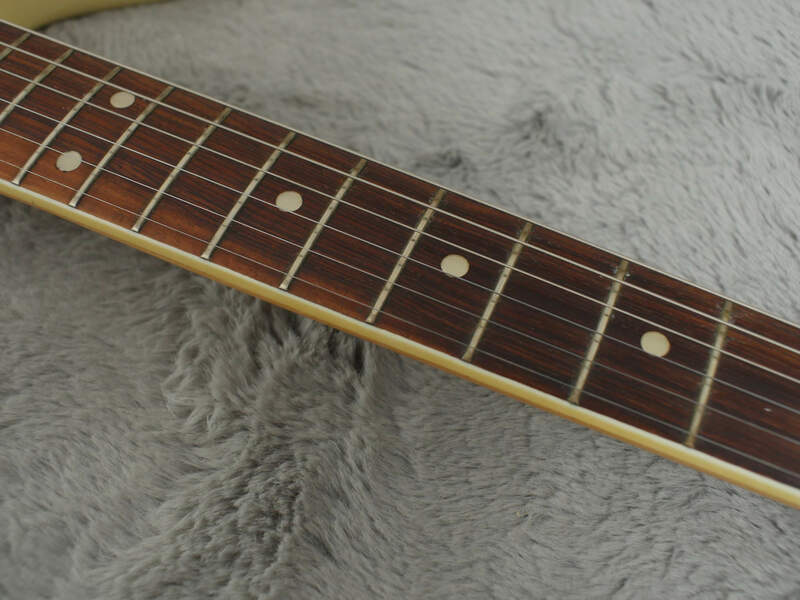 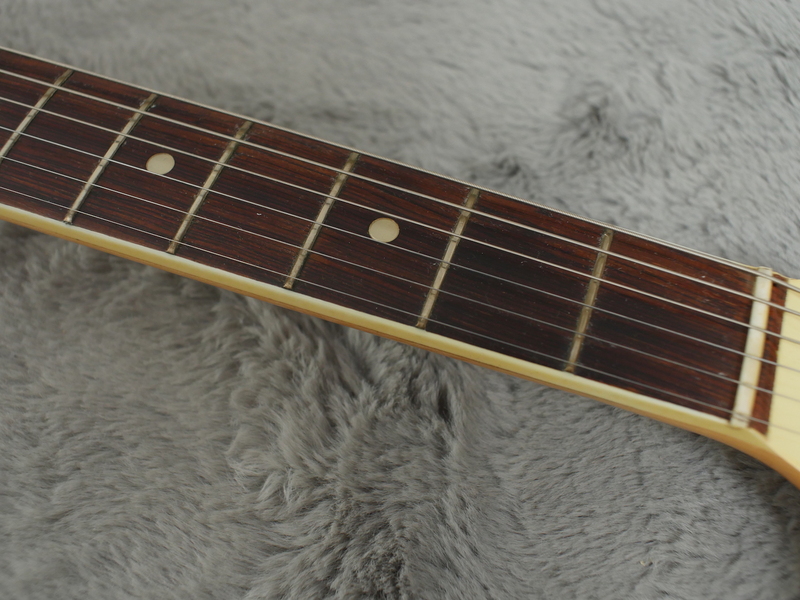 Very early F plate with an early bound neck makes this a very pretty guitar to say the least. 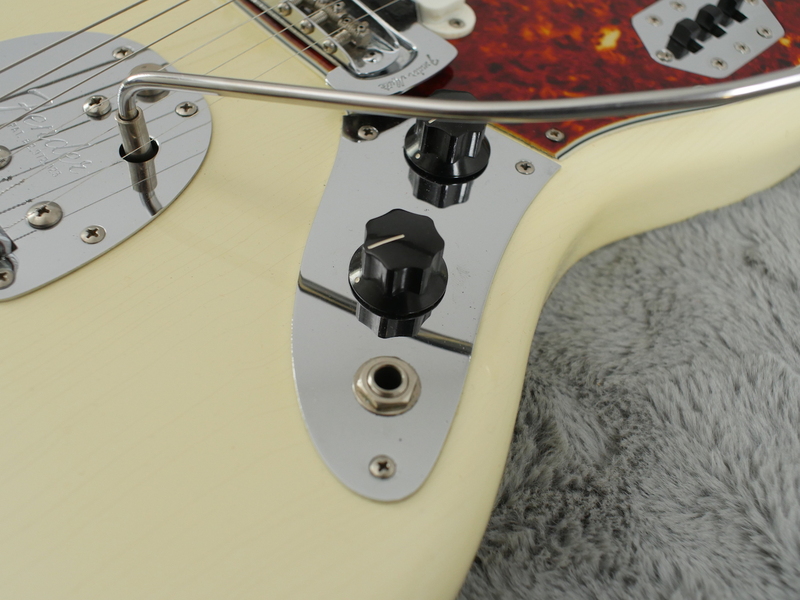 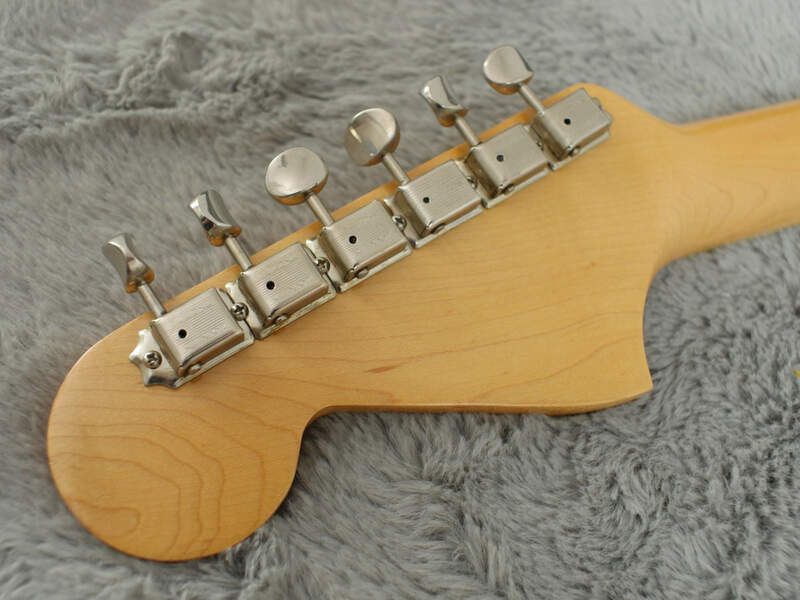 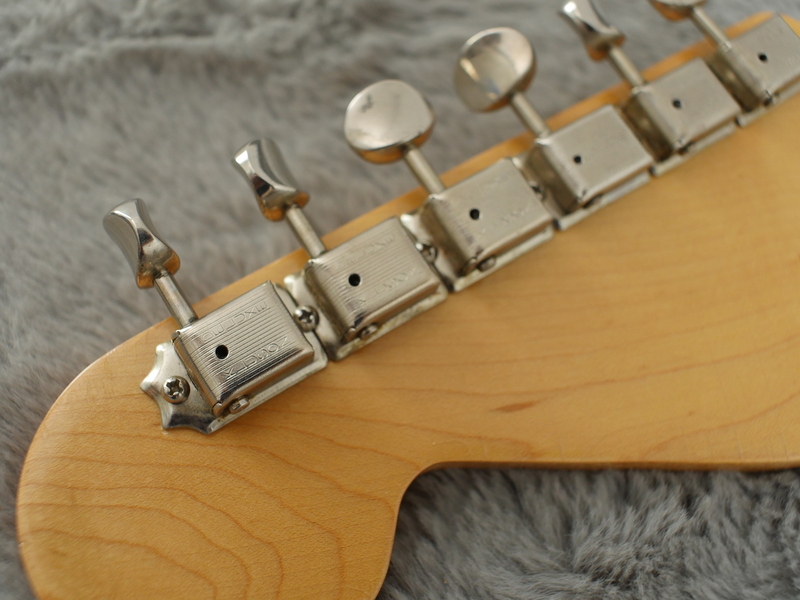 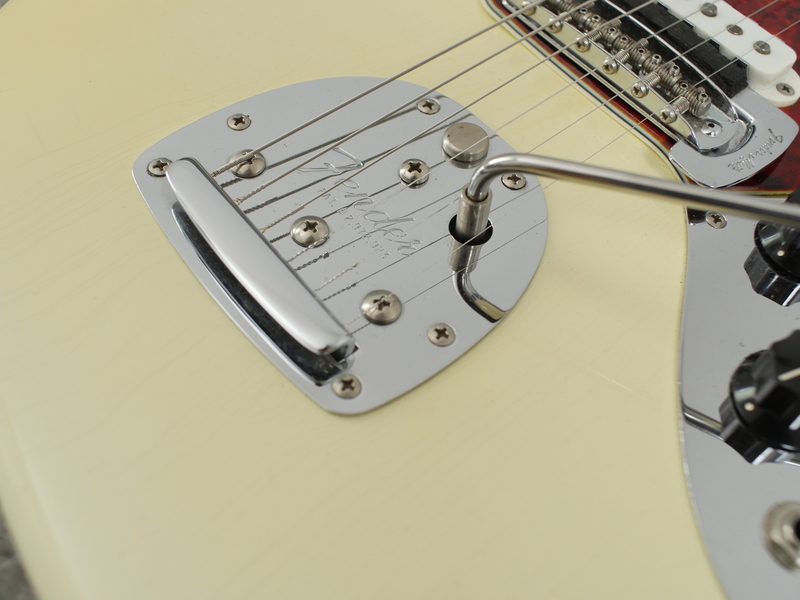 Even the string mutes are still there and the trem arm is included too. 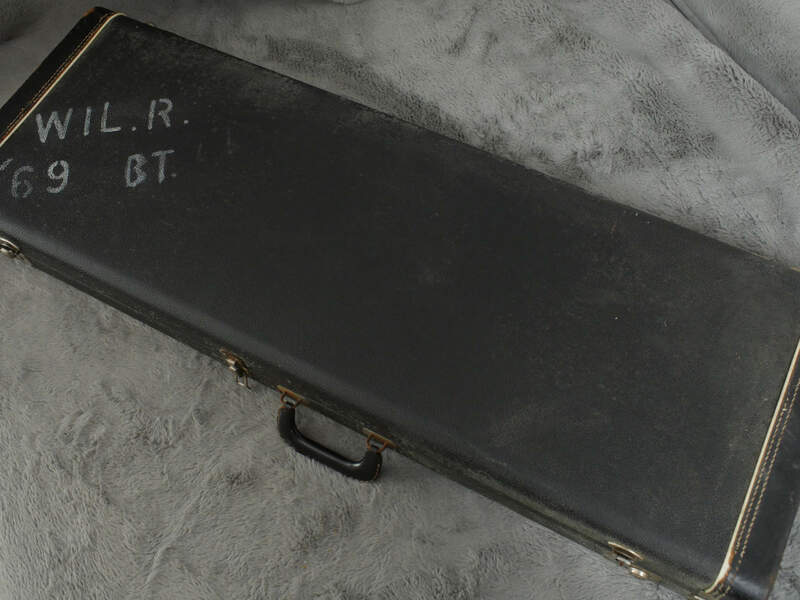 Neck dates to September 1965 and both pots date to the 30th week of 1965. 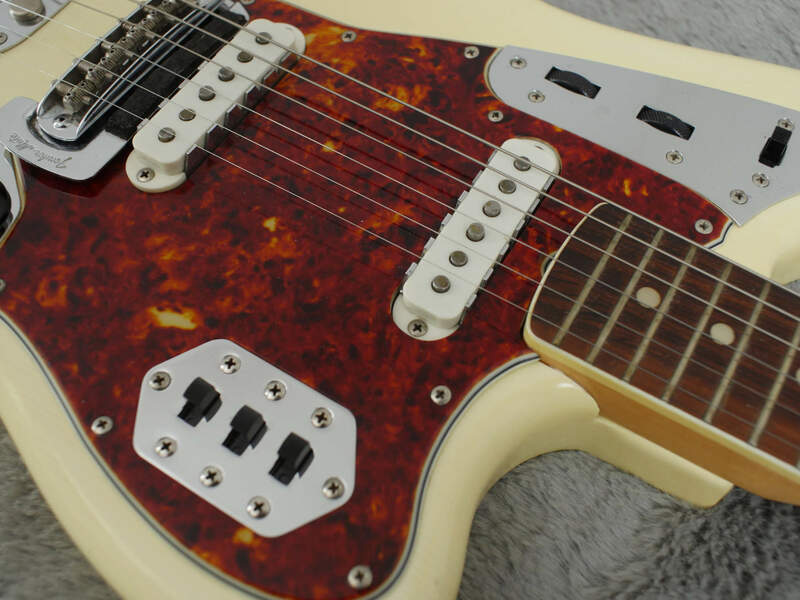 There is plenty life left in the original frets and guitar plays real well with two very nice, strong and balanced pickups.